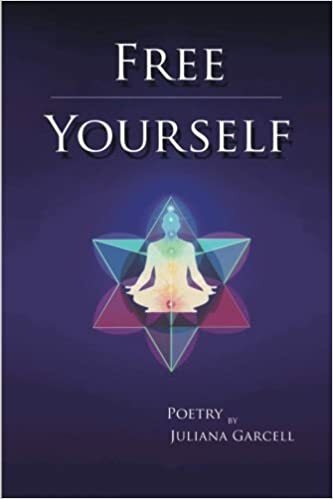 Free Yourself is a collection of intimate and engaging poetry written by Juliana Garcell. The poems are written in various styles and in various formats which helps to keep things interesting. The poetry sometimes hits on current social and political topics, but there is an overall focus on love, loss, and identity. Especially the struggle with identity in the face of love and loss; but having to define it in this way is somewhat limiting as I feel the poems are about much more. I enjoyed this collection and found the poems to be lyrical, as if written for a song. Each poem has its own focus, although they area about slightly similar topics. The emotions expressed are often raw and painted in vivid detail with colorful connections and allusions to nature and culture. Each poem is impactful, if not relatable, and I was able to understand each one. Understanding a poem is important for me, as I feel that poets often go off on some abstract ideas. But this collection is down to earth, and simple to follow, which makes the message ring clearly. I appreciated the poems that left me with singular emotions at the end, but I really enjoyed the poems that were able to do the same work with just one or two lines. ‘Free My Expression’ is one of my favorite of the shorter poems, with the line “want you to stay but I always run away”. And the very last poem, which I believe is untitled, is probably my favorite of the collection because it manages the same emotional impact as one of the longer poems with only four lines. I recommend this collection to anyone who enjoys poetry that is emotive yet easy to understand. The collection is short, but I suggest you give yourself some time to stop and ponder the thoughts, concepts, and ideas conveyed in each of these poems as this is an engaging assortment of passionate poetry.